Change your oil and oil filter. Consult your vehicle’s owner’s manual to see how often oil changes are recommended. Regularly changing your oil and oil filter ensures that your engine continues to run free of any issues. Neglecting to replace engine oil can lead to higher fuel consumption and serious engine problems. Check your engine, brake, and transmission fluids. These fluids keep your vehicle running smoothly. Low fluid levels may indicate a leak that can lead to severe damage. Check your tires. Tires should be properly inflated for optimum handling, traction and durability. however, the change of seasons can mean fluctuations in tire pressure. Warm weather can cause your tire pressure to increase, making the tires more susceptible to damage. 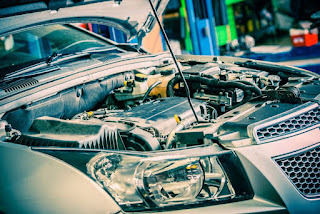 Regular maintenance can extend the life of your vehicle. If you’re ready to schedule maintenance for your vehicle, it’s easy to make an appointment with the Melloy Dodge service center! While you’re here, remember to have our certified technicians check your battery, lubricate chassis parts, check your filters and look out for any other issues. Prolong the life of your vehicle and keep your family safe with springtime maintenance!